WELCOME TO THE TOWN OF ALMOND, NY! 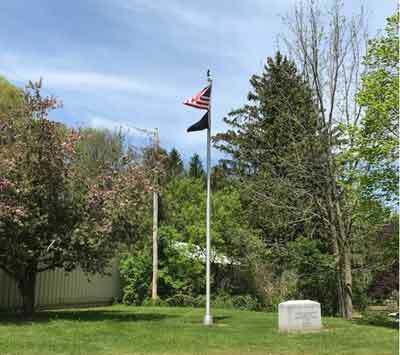 NOTICE IS HEREBY GIVEN that a public hearing will be held before the Town Board of the Town of Almond at the Municipal Building located at 1 Marvin Lane, in the Town of Almond, New York, at 6 P.M. on the 21 day of April, 2019, concerning proposed Local Law Number 1 of 2019, entitled “A Local Law to Allow Cold War Veterans A Limited Town Tax Exemption Pursuant to Section 458-B of the Real Property Tax Law.” The purpose of the proposed local law is to authorize a limited exemption from real property taxes for residential real property owned by veterans and their surviving spouses within the boundaries of the Town of Almond who rendered military service to the United States during the “Cold War” pursuant to Section 458-b of the Real Property Tax Law. A copy of the proposed local law is available for inspection at the office of the Town Clerk. through the Almond Town Clerk’s office!